Many claim they are motivated by not wanting to wait in Mexico. SAN DIEGO — Three months into the Department of Homeland Security’s new program that requires asylum-seeking migrants to wait in Mexico until their U.S. immigration hearings, experts said the policy may prompt illegal border crossings. 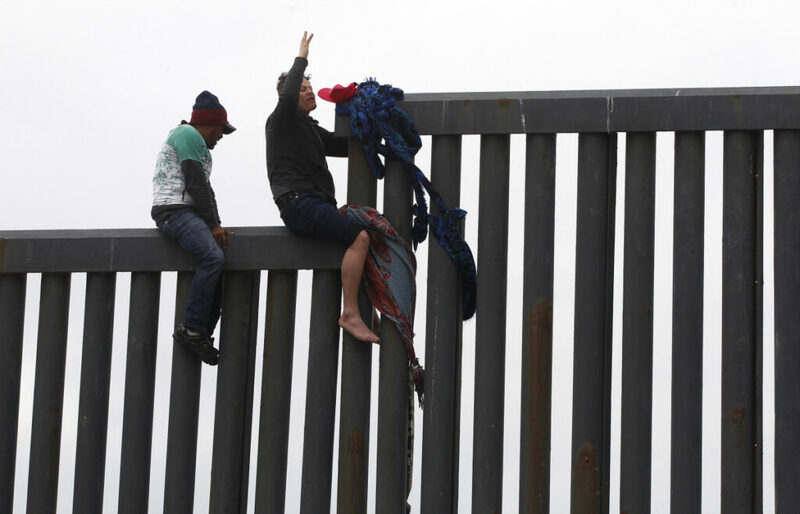 This past week, migrants rushed the border at least four times at Playas de Tijuana, many of them claiming they were motivated by not wanting to wait in Mexico. A CBP official said Friday that migrants who cross the border illegally are not yet being returned to Mexico while they seek asylum. Instead, they are being processed by CBP and then taken into custody, where they eventually get to wait in the United States, sometimes up to three or four years until their asylum hearings before an American immigration judge. Fuentes said she came to Tijuana planning to wait in line to ask for asylum, but she said that when she learned the list to get an initial appointment with U.S. officials could take several months, she decided to try to find another way into the country. Legal experts also say a judge is not allowed to deny a person’s asylum request based solely on whether they entered the country legally or illegally. Samuel Rodríguez Guzman from El Salvador arrived in Tijuana a week ago. He said he came to the beach Thursday after hearing about more people successfully entering the country illegally, and seeing people get through the border infrastructure at Playas on the news. So far, fewer than 300 people have been returned to Mexico under the program, called the Migrant Protection Protocols. “It’s an incompetent program currently,” Bersin said, People who cross illegally should be returned to Mexico in the same numbers as those who wait for months in line for their turn to cross legally, he said. This week and last week migrants have climbed through holes in border fencing at Playas or climbing over the 15-foot high fence. On March 13, some people slipped through a hole in the border fencing near the beach. One of the men, who was seen in a video running down the beach carrying a small child while a border agent chased after him, provided updates via WhatsApp to several people in his group and some witnesses. He said he was not apprehended and made it to Los Angeles. March 14, a group of about 60 people who crossed included men, women and children who said they were mostly from Honduras. CBP spokesman Ralph DeSio said 52 people from that group were arrested. DeSio said CBP is averaging 167 arrests a day throughout the San Diego County area of responsibility, which stretches east to past Jacumba.